Abstract: Phrasal verbs or multi-word verbs, such as call off, go into and run up against, etc. represent a very interesting and challenging aspect of the English language. In ELT there is a widespread view that familiarity with a wide range of phrasal verbs and the ability to use them appropriately in context are among the distinguishing marks of a native-like command of English. However, it is also generally recognised that these verb+particle combinations pose special difficulties for both learners and teachers of English partly because there are so many of them, partly because they have special semantic, syntactic and stylistic properties. Besides, quite many of them can be used as nouns, e.g. a hideaway, a stowaway and a write-off, etc. and adjectives, e.g. a broken-down car and a knockdown price, etc. What is more, again quite many of them have a single word equivalent of Romance origin, which, however, often differs from them in terms of style, collocation and meaning, e.g. blow up ~ explode, do away with ~ eliminate and put out ~ extinguish, etc. Furthermore, it is a misconception that phrasal verbs are mainly used in informal style and in spoken English. In fact, they can be found in many styles of writing, ranging from highly formal texts to slang, e.g. call forth vs. gobble up, etc. This paper sets out to explore the unique and complex nature of English verb+particle constructions in order to make them a more manageable part of the vocabulary of English. Abstract: This study is intended to serve as a guide for teachers of German who are teaching German as a foreign language (DaF-Deutsch als Fremdsprache), by making a contrast of the grammatical structures and the meaning of lexical items of both contemporary German and Macedonian language. This study is limited to the word class of adjectives only. By making the contrast between the two systems point-by-point, teachers can more readily see just those instances where dissimilarities and congruences occur between the two systems and where students of one, say Macedonians who wish to learn German, can more readily be made aware of what to look out for as they practice grammar in the target language. Firstly, the author presents the Macedonian word class of adjectives, then the German one, and in the next section makes a comparison between the meaning of the lexical items in both language systems followed by the summary and conclusion of the similarities and differences in both languages. The findings of this study will be important for teachers teaching German as a foreign language in Macedonia, as well as for the Macedonian students of German who study German as a foreign language (DaF) and for the teacher educators, too. Abstract: During their studies of general English at secondary school students obtain knowledge of the forms and meaning of words used in everyday situations, knowledge of grammatical components and frequently occurring language functions. Then they enroll in university to study a profession. English for Professional Communication is usually a part of their curriculum. Within it, they need to acquire communicative competence enabling them to enter a discourse community of experts. In addition to learning the terminology used in a profession they have to acquire sociolingual and discourse competences as well including generic one. It is a challenge that English teachers face when they decide to enclose authentic genres into their teaching materials. This paper presents suggestions how written genres can be used in teaching English for nurses. Most of the discourse and genre analyses relate to face-to-face doctor-patient encounters and nurses´ computer-mediated communications. To my knowledge, less attention has been given to written genres of the nursing discourse. Therefore the paper presents the most important concepts of genre, explains the roles of genre in organizational communication and gives a brief description of the discourse community of nurses and ways it uses task-oriented and patient-oriented genres as mechanisms of interaction.It also explains the purpose of individual genres. In the process of creating materials for learning professional English one of the most important tasks is the selection of suitable texts as they should meet learners´ needs and represent texts used in practice. I consider a Nursing Care Plan for a key text. Therefore, I present a detailed analysis of its parts focused on their communicative functions, description of standardized lexis, grammar structures and broken grammar rules. I suggest a method how to teach the Nursing Care Plan genre in English lessons and present tasks leading to the acquisition of receptive and productive skills related to the use of this genre.I believe that the knowledge of genres can help students to make sense of the diverse types of communicative actions that are typical of the discourse community to which they will belong. Keywords: Communicative competence; genres; genre analysis; discourse community of nurses; English for Professional Communication; English for nurses. Abstract: Within the framework of the U.S. foreign language deficit, the author addresses the case for Languages for Specific Purposes (LSP), and more specifically, Business Language Studies (BLS), through an examination of the relevant literature and building on her own recent doctoral research study on foreign language as a global competency within the U.S. undergraduate Global/International Studies major. Languages for Specific Purposes (LSP) is one way to effectively address the U.S. foreign language deficit, highlighting the opportunities that exist for young people with foreign language skills. The role of foreign language (and of the foreign language educator) in developing intercultural competence has been addressed primarily through the European literature.Implementation of the recommendations of 2007 Modern Language Association (MLA) report, Foreign Languages and Higher Education: New Structures for a Changed World, would increase the appeal of foreign language learning to the broader constituency of learners driven by career and professional goals. It is important for foreign language educators in the US to reach out and support the needs of all prospective foreign learners, and especially of those driven by career and professional goals, through a broad range of LSP and BLS programs.It is interesting to note that the collapse in U.S .foreign language enrollment, which occurred in the 1970s and 1980s and has never re-bounded in proportion to the impact of globalization, may be about to be reversed, based on the recent article by William P Rivers et al. on the level of ‘grass roots’ support for foreign language in the U.S.Lastly, the importance specifically of Europe and of European languages is stressed, as the EU is the world’s largest economy, and Europe is the largest trading partner of the U.S. In addition, Europe plays a major role on the world stage, and European culture and lifestyle have global appeal. Abstract: In its quest for the destination of an ‘all-encompassing’ communication, European advertising builds an image of complexity and oppositions. Constructed as a mingling of cultural values, intensive consumerism and creative touches, the story of advertising is a never-ending analysis of nowadays globalized societies. Moreover, its ramifying story of acceptance, assimilation, rejection and stereotypy brought advertising at a position in which the debate over intercultural representation and consumer behavior is crucial. Consequently, the main question that arises is: in the realm of the thirsty and goods-addict consumers, what type of discourse should advertising in Europe use, so as to emphasize pluralism and still maintain culturally personalized approaches. It is, therefore, the purpose of this paper to explore and analyze the congruencies and disparities between advertising and its social, cultural and economic repositories, on the background of Europe’s image. In this respect, some questions can be formulated: How does advertising pertain to organizing its communication with the overly globalized consumer markets? Is the stereotypical label hereby inserted in such a communicational direction with consumers, and if so, what are the features of an “addressing otherness” discourse with respect to ad typology? Another aim of the current paper is to evoke the level at which European advertising fails to stick to the intercultural framework of reference, through a presentation of the stereotypes of “otherness” and the implied “fake multiculturalism.” The idea behind this assumption is that, while representing ethnic groups differently or by use of a derogatory mechanism, the message cannot be that of Europeanness. Moreover, the focus on linguistic choice of advertising vocabulary is linked to the issue of “linguistic fetishism” and, more importantly, it shows that the variety of linguistic panel in Europe sometimes prevents consumers from decoding the message of advertising. The sphere of this domain allowed for a new analytical introspection in the appearance of this marketing mix, which led to further wanderings in the realm of an advertising that is both plural and rigid. Such an economic force, combined with intercultural representation, serves as an effective means of changing the fairytale of consumerism abuse into a fairly-oriented European happy-end story of multicultural consumers in the land of promising advertising. Keywords: communication in advertising; identity; linguistic fetishism; discourse; otherness. Abstract: Nowadays, contacts between people from diverse cultural backgrounds are becoming more frequent and much closer. Highly developed skills in intercultural communication have a significant bearing on the quality of relationships between people from different cultures and nationalities. A recent rapid development in multicultural relationships therefore puts new demands also on university graduates. They need to be adequately prepared for new social situations and future job opportunities in their home country and also abroad. Achievement of communication competence is the principal objective in foreign language teaching and therefore intercultural competence is incorporated into the university curriculum. The findings of our survey Implementation of Modern Technologies in Professional Language Teaching (a part of a research project funded by the Kultúrna a edukačná grantová agentúra (KEGA) of the Slovak Ministry of Education, no. 049PU4/2012) highlighted the importance of professional communication teaching and emphasized intercultural competence as one of the key priorities in the university education. We used a specially designed questionnaire to find out if our respondents (students in the Faculty of Health Sciences, the University of Prešov, Slovakia) are sufficiently prepared to provide a proper care to clients/patients from different cultures. Our study showed that the language most used in professional practice was English, and that most respondents did not have any difficulty in communication with clients from different cultures. Sixty percent of the respondents also used non-verbal communication if verbal communication failed, and respected the cultural differences and individuality of patients; a small number of the respondents did not respect these factors. However, our findings also showed that there are still some language barriers between future healthcare professionals and clients/patients from diverse cultures, and that more practice in professional communication has to become an essential part of the foreign language teaching. It is also necessary to include more intercultural aspects into the foreign language teaching for healthcare professionals to be able to respect the individuality of people from different cultures. Hence, the professional language teaching at universities needs to place a greater emphasis on students’ knowledge of different cultures in order to enhance their intercultural competence. Our study provides some recommendations for improving interactions between future healthcare professionals and clients/patients from different cultures. Abstract: By now it is well-known that the role of modern education is to equip students with several types of competences necessary for their future personal and professional life. One of these competences, namely communication skills, has a component whose development is, according to the author’s opinion, mainly in charge of foreign language teachers. It is their role to create the shift from the ethnocentric level of students’ attitude towards cultural issues to the ethnorelativistic stage that is to make their students aware of and accept cultural differences and to help them acquire skills necessary for intercultural encounters. The two main topics present study is focusing on are: to what extent it is necessary to intervene in this respect and which are the ways teachers can develop intercultural sensitivity and competence. The results of a questionnaire applied to more than 200 students of the University of Oradea, Romania – studying Economics, Medicine and Law – confirmed the author’s hypothesis that in spite of the extended international relations and travel opportunities Romanian students are not really aware of cultural diversity and its overwhelming impact upon people’s behaviour, reactions and way of thinking. To change this situation, teachers, especially foreign language teachers may resort to techniques and methods like simulation games on cultural differences (Barnga, Ecotonos, BaFá BaFá, Randömia Balloon Factory etc.) that intercultural communication trainers use successfully in their seminars to make participants aware of cultural diversity and help them manage real life situations involving international encounters and/or appeal to the opportunities offered by information and communication technologies and the internet, through youtube and different socialization platforms. Abstract: The paper presents the results of a survey carried out at the Faculty of Economic Sciences, University of Oradea, in order to identify attitudes, beliefs, motivation and self-responsibility among students when it comes to learning the English language. The main issue investigated was motivation set at the basis of the learning process together with students’ attitudes regarding the use of English in the Romanian social and educational context, as well as the use of the English language in general. A valid questionnaire was designed and tried to a convenient sample of students; the results of the study are discussed in terms of the principal components that were established including attitude towards motivation, self-responsibility, and language learning approaches. Research and experience show that English is of utmost importance in the academic and future professional lives of students majoring in economics. 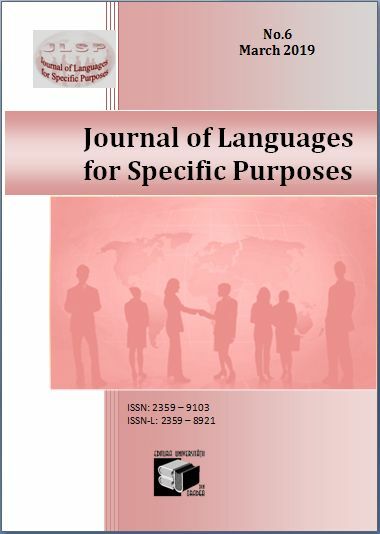 Therefore, this paper provides some theoretical aspects of motivation, beliefs and responsibility in the context of second language acquisition.Among the important achievements of the study we should mention the observations of students’ behaviour concerning responsibility. It appears that most students are not ready to take complete responsibility for learning. They are either afraid of the teacher, or feel embarrassed, and are ashamed to openly utter their ideas. Thus, teamwork and pair-work facilitate the effective learning of the foreign language and encourage students’ collaboration. The teacher is not the central actor, the controller anymore; s/he becomes the facilitator and source of knowledge. It is important for the teacher to know the basic needs of his/her students and cater for these according to level of their importance, to be aware of the reasons that propel students towards learning, improving or just surviving English as a foreign language. Keywords: human resources; motivation; responsibility. Abstract: The didactic description of the language islands has been very little noticed in research so far. The literature concerning the German didactics in that field must be seen as poor. Especially the speakers of German as a minority language outside of Europe, as the Hunsrik (Hunsrückisch) in Southern Brazil, get hardly recognized. The main focus of this article lies on this dialect enclave. The theoretic perspectives as well as the empiric ones, try to get to the bottom of the major aspects of teaching methodologies of minority languages. The aim of this paper is to portray the sociolinguistic context of the Hunsrik, focalizing on its usage amongst childrengrowing up in a bilingual environment. Secondly it pictures possibilities how German as a dialectal minority language can be integrated in school. For this purpose the experiences of Project “Hunsrik” from Santa Maria do Herval were taken into account. Before the detailed description of the situation of Hunsrik in an educational environment, the introducing chapters give a short overview of this German variety. Further on the reasons for the decrease of competence and frequency of usage of the dialect in German minorities are discussed, considering especially the situation of language islands overseas. The aspect of bilingualism, which is considered to be a constitutional part of members of a linguistic enclave, is taken into account. 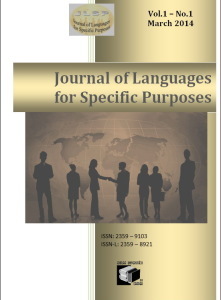 The third chapter discusses the advantages of language courses for members of German dialect language islands. The purpose and the content of teaching the mother tongue of members of language islands are highlighted in this chapter. The aims of teaching the first language in an educational environment are the propagation of the variety, the empowerment of minorities and the transmission of cultural identity of linguistic enclaves and of their original homeland. The following chapter presents the materials that were published by the team “Hunsrik” so far. They can be seen as an important contribution to the propagation of that variety and the empowerment of its speakers. Abstract: The following article focuses on pictures and their functions in teaching German as a Foreign Language. The questions of the article are based on two approaches, namely on the cognitive turn and the communicative turn. In spite of the fact that they led to certain developments, they had also some negative consequences. The cognitive turn focuses less on individuals in foreign language teaching and the communicative turn focuses on intellectually simpler learning materials. The major question of the article is how these deficits can be reduced. The article considers the conscious application of pictures to be a potential way of overcoming the shortages. Several German as a Foreign Language coursebooks will be analysed from the following points of view: What aims is the application of pictures based on? To what extent do coursebooks try to integrate the emotional and intellectual dimensions of the teaching and learning process? Among different functions of pictures, the function of pictures for personality development will be especially highlighted because secondary secondary school students are in a period in which they need a certain kind of value based orientation. The reason for choosing pictures as a possible way of achieving these aims is that today’s students are surrounded by pictures everywhere. Day by day they come across different pictures which obviously have an effect on them. Foreign language teaching is supposed to consider these facts and intensify the reflection on the functions of pictures. New approaches need to be developed because pictures can function not only as illustration but they can also contribute to students’ intellectual and emotional enrichment. With the help of the coursebook analysis, the article intends to give an answer to the question whether the chosen coursebooks use pictures’ full potential they offer for personality development. The article proposes the hypothesis that the chosen German as a Foreign Language coursebooks have deficiencies in exhausting all of the potential offered by pictures because they disregard pedagogical aims. The article will prove this hypothesis because the majority of the pictures is used for illustrative or semantic purposes but not for supporting students’ personality development. Through a presentation of theoretical guidelines and practical suggestions the article intends to show that a combination of texts and pictures can reduce the deficits caused by the cognitive and communicative turn. Keywords: educational and pedagogical aims; cognitive turn; communicative turn; pictures; personality development. Acest articol a fost postat Monday, February 24th, 2014 la %I:%M %p	in categoriile 01-February-2014, archive. Puteti urmari comentariile aduse acestui articol prin RSS 2.0 feed. Both comments and pings are currently closed.